How do you impress your 6-year old at home? With tricks like this. Lol! 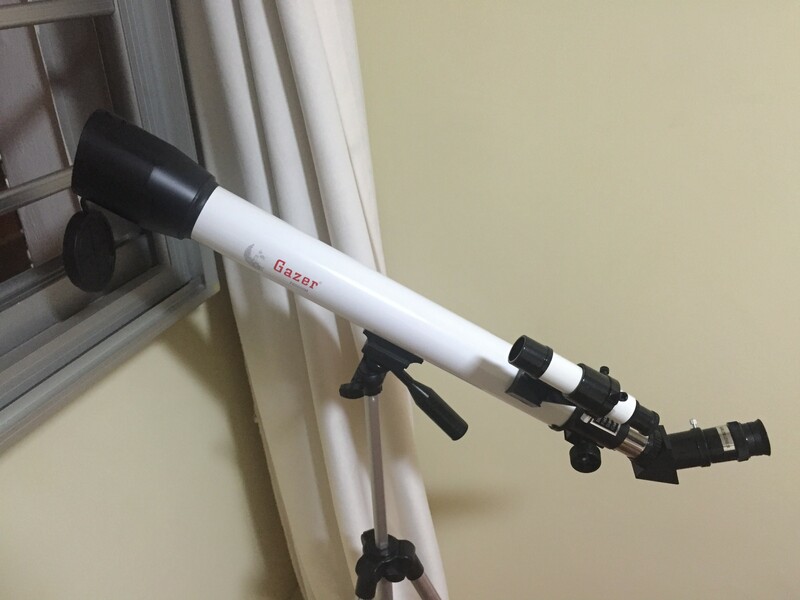 I bought a telescope from Taobao as my daughter’s Christmas gift. We didn’t really get started with this because it rained continuously for a few days. So after one of my night runs few days back, I noticed that the sky was clear and the moon was in full view. 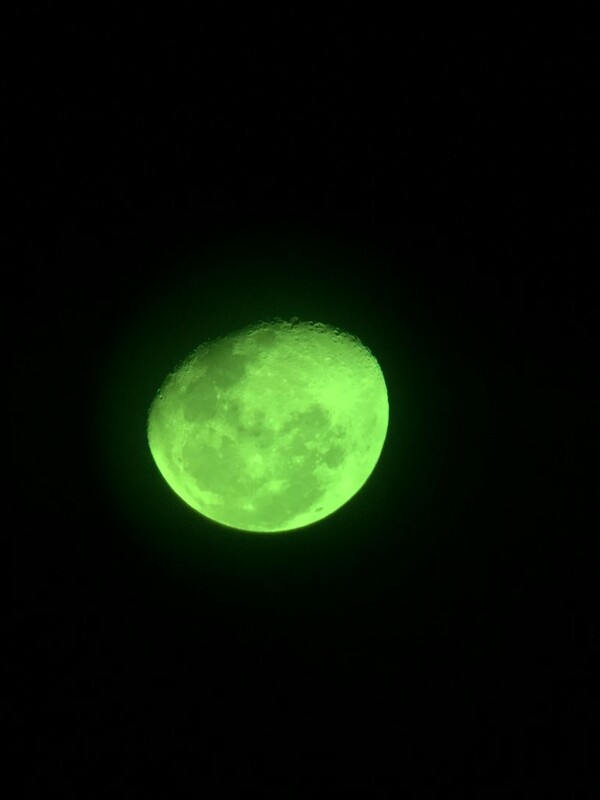 I got the telescope setup quickly when I got home. 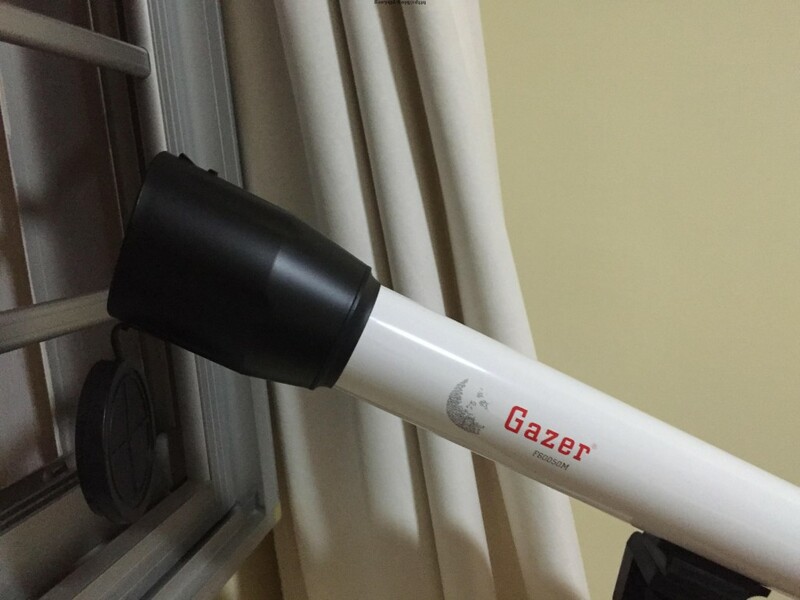 This is a budget telescope, very entry level. It has 60x magnification, cost me about SGD $90 including shipping from China. The build quality is not fantastic, but acceptable for the price. This is truly a beginner’s set. Anyway, it took some time to get the hang of using the telescope. It didn’t help that the tripod was wobbly when fully extended. And it gets worse with the iPhone attached to the end of the telescope for snapping pictures. 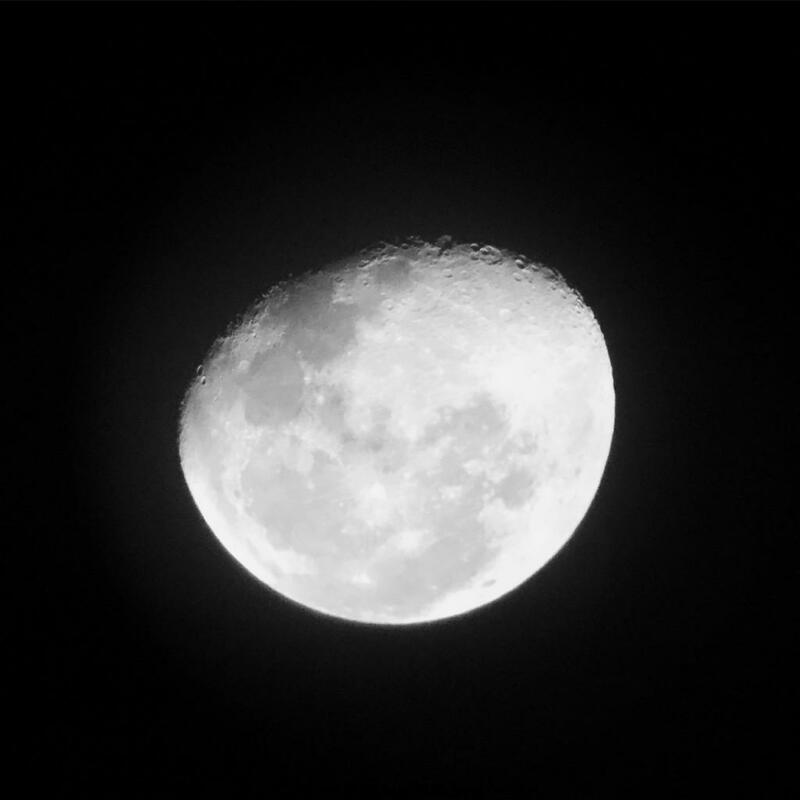 The moon was very bright that night, so basically what I saw was one big bright patch when I got the telescope zoomed in on the moon. I was expecting to see the craters. So I went back to the instructions, they said use the ‘Moon Filter’. Missed that trying to get things setup fast. This was the result which the filter. Now the craters are clear. I was pretty excited at this point. It took me a while to get a clear shot. So the result is the picture above, after turning it into black and white. My girl was pretty impressed when I showed her the picture the next morning. Shall try this again when we have the next full moon.